← An old farm table. The day our house did not blow up. 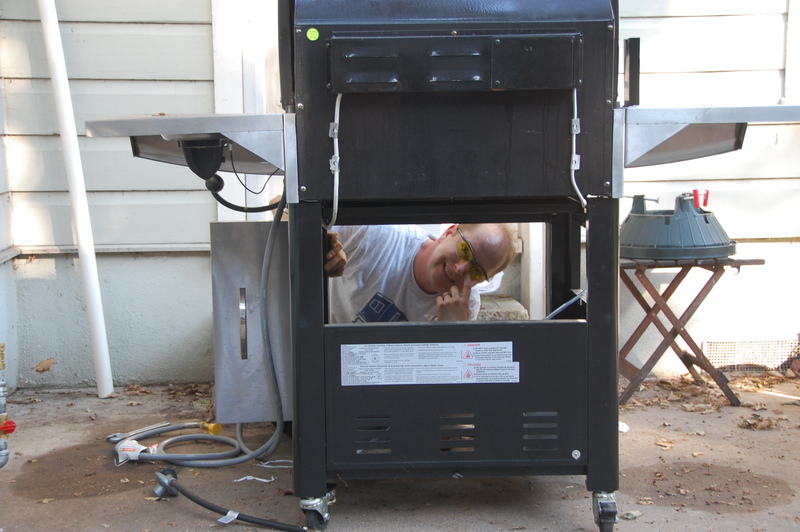 Scott had an idea to connect our gas line to our grill so that we never have to mess with propane tanks. He asked the plumber about the cost of such things and he quoted us somewhere around $350. Scott decided he could definitely do it himself. After church, we headed to Home Depot for supplies, which included a natural gas conversion kit and a really long pipe. He spent ALL afternoon working on it, but low and behold! 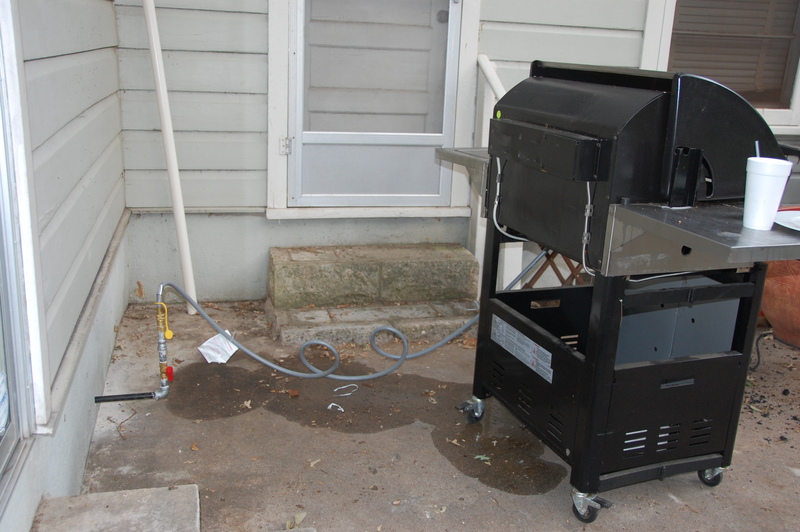 We have a grill connected to our gas line and our house did not blow up in the process. To celebrate, we made hamburgers. We did have a conversation about whether or not we would be better off if our house did, in fact, blow up. Other than the safety concerns, we think it might be a better deal for our house to burn down. We could then collect the insurance money, and start again. Maybe. But if our house happens to burn down tomorrow, I want you to testify at our arson trials as to our character. I swear, we would never do such a thing. Success at the Buchholtz house! And it only cost $50 and a Sunday afternoon. Well done! I’m more concern for the fact that you may have eaten that pineapple on your hamburger. I’m not sure we can be friends any longer. HEHE! See you tonight! Todd and I are ready to eat steak with you anytime! 🙂 Well done, Scotty! I’m so impressed. I agree with Susan on the pineapple ?? 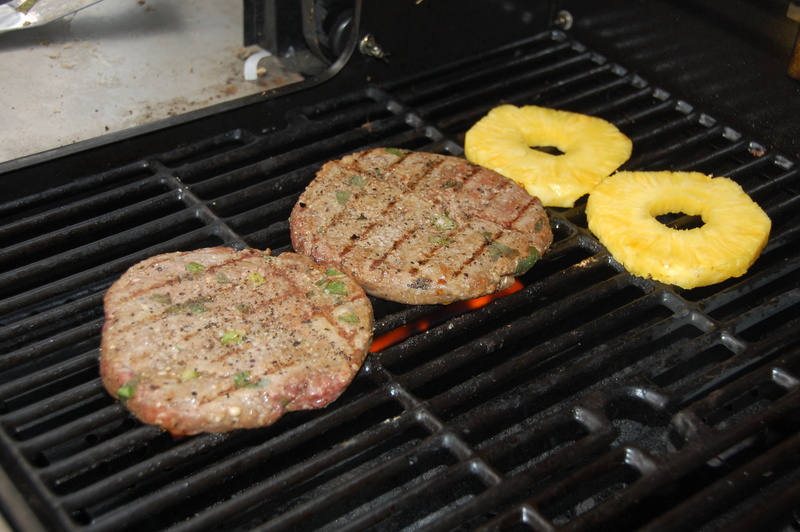 Never heard of pineapple on your burger? Yum. Last night was my first experience but we had pineapple that needed using and Scott remembers having burgers like that in Hawaii. So last nights meal was our low budget Hawaii experience! SO HILARIOUS!!!!! im really impressed! there was so much ability for the rule of scott to go REALLY BADLY here! so funny!! you go scott and chels!!! 🙂 thanks for sharing all your adventures with us! Did you already have the gas line coming out of the base of the house? Oh don’t tell Todd….well he probably already knows.